You’ve booked your tour, you’ve sorted your flights, you know where you’re staying before and after your tour. Next on the list: What to Pack? You’ll be moving a lot when on tour, so travelling light is essential. 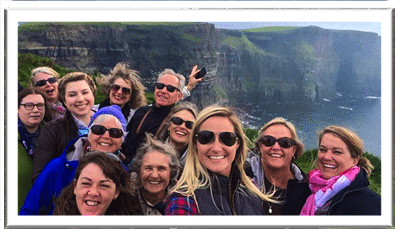 Let’s take a look at what to pack on a Vagabond or Driftwood Tour of Ireland. The weather in Ireland can be unpredictable. In fact, it is probably the most discussed topic among the Irish because of this! Not too hot or too cold, temperatures range in the 50’s- 70’s (Fahrenheit) during the day, and 40’s – 60’s in the evening. It’s always best to plan for rain when visiting Ireland. We highly recommend bringing several light layers, to adjust to our ever-changing weather. Your suitcase must be no bigger than 30” or 75cm on its longest side. Passport – Keep it somewhere safe at all times. No travel visas are required when traveling to Ireland. 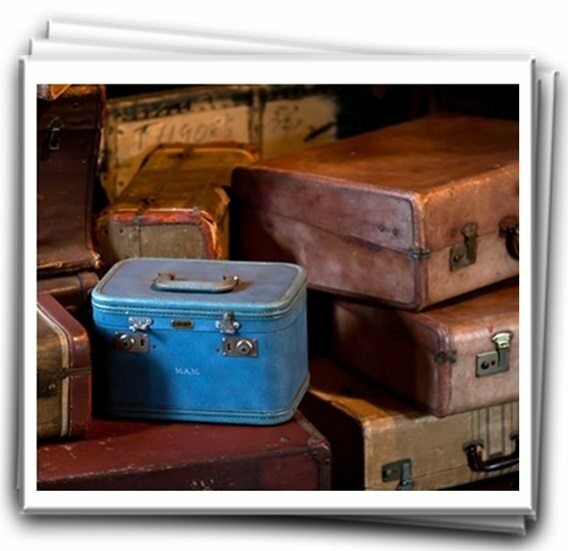 Suitcase – No bigger than 30” or 75 cm on its longest side. We can’t stress this enough. 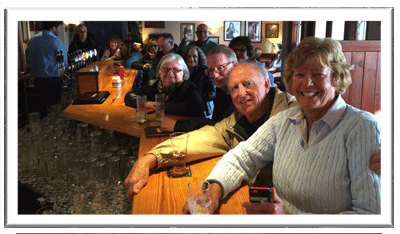 As being a small group tour company, our vehicles have limited capacity. Bonus Tip – If you’ve flown over with too large a suitcase, just ask at the hotel you’re staying in Dublin, can you leave your suitcase with them. Many travelers opt to do this. Particularly if their tour is part of a larger vacation. A small day pack or fanny pack is ideal for keeping anything essential on your through the day. Camera – Be sure to send us in your best photos to be entered into our monthly competition! 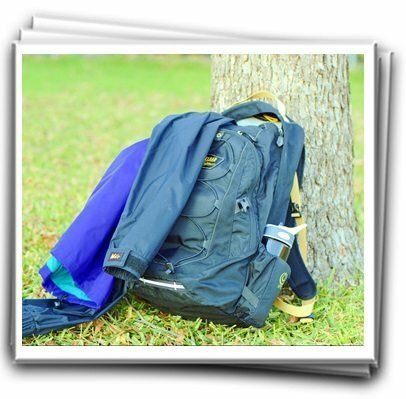 Small Bag or fanny pack – To keep your valuables safe during the day when out exploring. Plugin converter – In Ireland we use a three-pronged plug with a 230v 50hz electricity supply. The same as the U.K.
Trekking poles – Good for hikes, but not essential. Facecloths – Most hotels in Ireland don’t have them. Notebook/ journal, pen/ pencil – Many past passengers have recommended this. In fact, check out what else they’ve recommended. 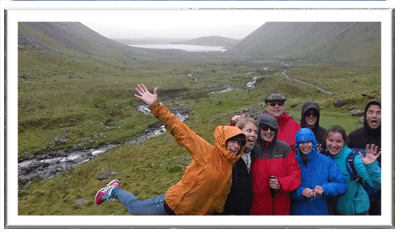 We don’t let a little rain ruin our fun – A group of Vagabonders enjoy some wet but fun hiking. 2-3 T-Shirts – Once again, synthetic is best. 1 Pair of shorts – For when the sun does come out! 1 swimming suit – For a refreshing dip in the ocean, or if you’re taking part in one of our watersports activities. The dress code in the evenings is pretty casual – A group of Driftwooders enjoying an evening drink in Ballyvaughan. Walking boots, walking shoes or trainers – Walking shoes/Trainers are normally fine, as long as you don’t mind them getting wet. Walking boots are usually better over uneven ground, especially in the cold months from October to April. Make sure any walking boots have been broken in before your tour. Walking boots are not required for the Driftwood tours. It’s also advisable to bring some comfortable footwear to change into in the evenings. Make sure to break in walking boots in before your tour. 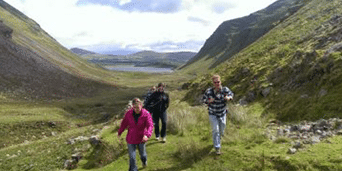 – A group of Vagabonders goes hiking in Annascaul. On our longer tours, there are laundry facilities in Dingle. Toothbrush, toothpaste, shampoo, sunscreen (SPF 30), sanitary supplies etc. It’s best to go for small or travel size. Don’t forget any personal medication. Our guides all carry first aid kits. However, a small personal one might be more convenient for you. Things to include in your first aid kit: Band-aids, moleskins (for blisters), anti-histamine, hand sanitizer, painkillers etc.